I would like to take a moment to welcome Perth Cichlid Society premium sponsors Aquaplenish. 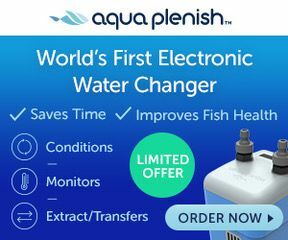 Aqavive Pty Ltd is an Australian company that has created the patent pending Aquaplenish Electronic Aquarium Water Change Device. Our device allows domestic water to be quarantined, treated and safely transferred to the aquarium. The device sits on the rim of a container and recirculates and aerates the water. It also monitors the temperature of the water in the container as wells the water being added. It also provides a boost for the siphon gravel vacuum, allowing water to be transferred directly to the garden or down a drain. We believe our device helps the hobbyist to expedite the water change process and more importantly do a quality water change which benefits the health of the aquarium habitants. We are currently in discussions with interested parties in the US to launch our product there. A big thanks to Glen Penrose - Managing Director for organising this venture with me. Site is in USD. Are these available in Oz? I'd like to avoid international freight. The USD179.95 price is our US Christmas special which comes with free delivery in the US. I note the forum comment on the cost for international delivery and whether the product is available in Australia. We do have a limited supply of the Aqavive branded product in Australia, with more on order. Given our appreciation of the opportunity to be a PCS sponsor, we will be delighted to extend the free delivery offer for PCS members. We have established a promotion code “PCS" on our Shopify page. However, stocks are limited and we don’t want to disappoint Hobbyists wanting to get the product before Christmas. So I hope they order as soon as possible.